Is zero down now zero risk? ShutterstockThe zero-down loans offered by the Veterans Administration might provide lessons for the lending industry. The safest mortgage on the market since the housing crash is one where most buyers put $0 down. Wait, huh? Welcome to the surprising world of VA home loans. Since 2008, the VA has helped more than 320,000 homeowners avoid foreclosure, saving an estimated $11 billion in potential foreclosure claim payments. record, but it’s a mostly under-the-radar success story. That’s not to say the lending industry needs some seismic shift away from “skin in the game.” There’s clearly a benefit to and place for down payments. VA loans are also a hard-earned benefit reserved for those who serve our country. It’s a special program, and it should stay that way. But these zero-down loans do offer some lessons worth a closer look. Big Benefits: VA loan volume has soared 372 percent since the crash, driven mostly by a tighter lending climate, a tough economy and bottom-barrel interest rates. VA loans feature more flexible and forgiving requirements than conventional loans, including lower credit score benchmarks, no mortgage insurance and closing costs limits. But the single-biggest benefit is the ability to purchase with $0 down. Qualified borrowers in most parts of the country can purchase up to $417,000 before needing to factor in a down payment. Since 2008, nearly 90 percent of VA buyers have purchased without a down payment. Yet, for almost five full years, these loans had a lower foreclosure inventory rate than all others, including prime loans. The reasons why have a lot to do with common-sense underwriting and a commitment to helping veterans not just get into homes but keep them. Residual Income: One is VA’s unique requirement for discretionary income. This standard, known as residual income, requires borrowers to have a minimum amount of money left over each month after paying their mortgage and other major expenses. How much varies based on geography and family size. For example, a family of four in the Midwest would need at least $1,003 in residual income each month. Buyers with a debt-to-income ratio above 41 percent must meet an even higher benchmark and exceed the guideline by at least 20 percent. Debt-to-income ratio is still the major focus in mortgage lending. 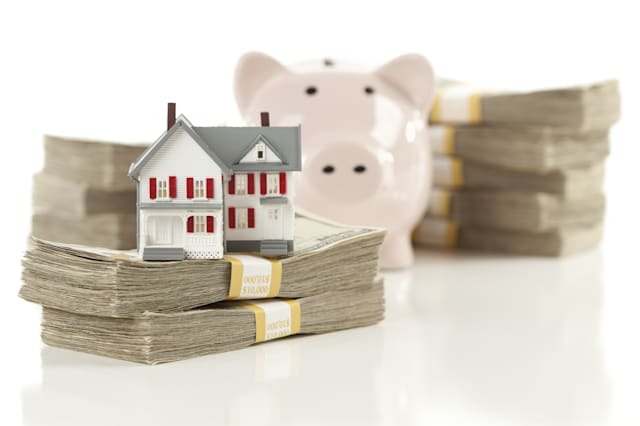 But residual income can offer a more realistic look at affordability and a borrower’s ability to keep up with their mortgage payments if emergencies occur. Author kimhuntkwPosted on October 31, 2014 October 13, 2014 Categories FinancingTags financing, home buyingLeave a comment on Is zero down now zero risk? ShutterstockAre you covered if a trick-or-treater trips over a Halloween decoration in your walkway or is singed by a jack-o-lantern. Here are three possible Halloween problems, and the skinny on what is and isn’t covered by a typical policy. on your property. The standard amount per occurrence is $100,000, but you may be able to increase this amount depending on your policy. Tip: To prevent this from happening, it’s important to prepare your house for Halloween! Plenty of lights and a clear walkway will decrease the likelihood of an accident. The Potential Loophole: If you’re sued because of the accident, your policy may also pay to defend you in court. But keep in mind that you’re typically only covered for negligence. You aren’t covered for intentional injuries — meaning if little Glenda the Good Witch hurts little Kevin the cowboy, you won’t be covered! Jack-o-Lantern Catches Fire: Do you light your jack-o-lantern with a candle? If so, you’re not alone. Over the last three years, an average of 15,500 fires per year were caused by an open-flamed jack-o-lantern, according to the U.S. Fire Administration. “Tricks” Dent Your Siding: For the most part, “trick-or-treat” is heavy on the treat part. But, not always. Sometimes, tricks happen, too. And next thing you know, your house is egged (or worse), and there’s damage to your siding! Author kimhuntkwPosted on October 29, 2014 October 13, 2014 Categories FinancingTags home buyingLeave a comment on How to help a sister out (literally). Shutterstock The key is finding the right plan and being a solid applicant with decent credit and stable, verifiable income. right plan and being a solid applicant with decent credit and stable, verifiable income. Community Homebuyer Program: 5 Percent Down — These loans are designed for buyers with low-to-moderate incomes. First-time purchasers must complete a homebuyer education class. Applicants must meet underwriting guidelines, but the program may not be available in all states. In addition, mortgage insurance is much less expensive. • The applicant’s annual income must be equal to or less than the area median income. Freddie Mac’s Lookup Tool indicates what your income should be. • Income eligibility requirements may be different in high cost areas. • An exception to the income requirements applies when for-sale properties are located in designated “non-metro” or “underserved” areas. FHA: 3.5 Percent Down — FHA mortgages were designed to increase home ownership. The program imposes no income limitation and is not restricted to first-time buyers, but there are maximum loan sizes that depend on the property location. FHA’s “official” underwriting guidelines allow credit scores as low as 580 for loans with 3.5 percent down, but many lenders impose higher minimums. FHA requires an upfront premium of 1.75 percent of the loan amount, plus annual premiums (divided by 12 and added to the mortgage payment) of 1.35 percent of the loan balance for most borrowers with 30-year loans. Unlike conventional (non-government-insured) loans, FHA requires payment of mortgage insurance for the life of the loan. USDA: Zero Down — The Department of Agriculture’s Rural Housing program allows 100 percent financing of eligible property. Homebuyers should not necessarily be deterred by the term “rural.” About half the population in the United States lives on property considered “rural” by the Department of Agriculture. USDA loans come in two varieties — guaranteed loans, which are funded by private lenders and backed by the government, and direct loans, in which the government provides the funding. The direct program is for people with lower incomes and may also provide a subsidized interest rate and a term of up to 38 years. The guaranteed program has more relaxed income restrictions – and provides loan terms for up to 33. 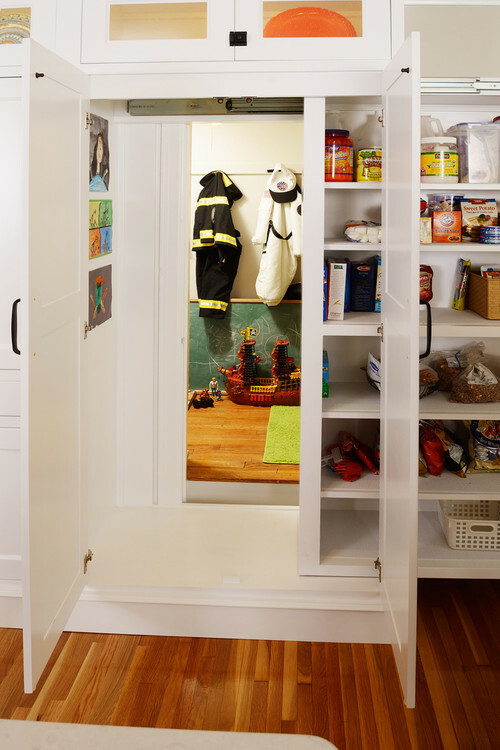 This kitchen has a clever secret, but we’ll get to that in a minute. The family who lives here hired designer Nathan Taylor to turn their kitchen into a more flexible, functional space that all of them could enjoy. They didn’t want to abandon the history of their cottage, but they also wanted to put their stamp on it. The home was built in the 1940s and is what Taylor refers to as refined cottage style. Not so refined, though, was the kitchen, which had next-to-no storage and felt dark and cramped. The floor was linoleum on top of some more linoleum — and once they were ripped out, rotted wood floors were revealed. 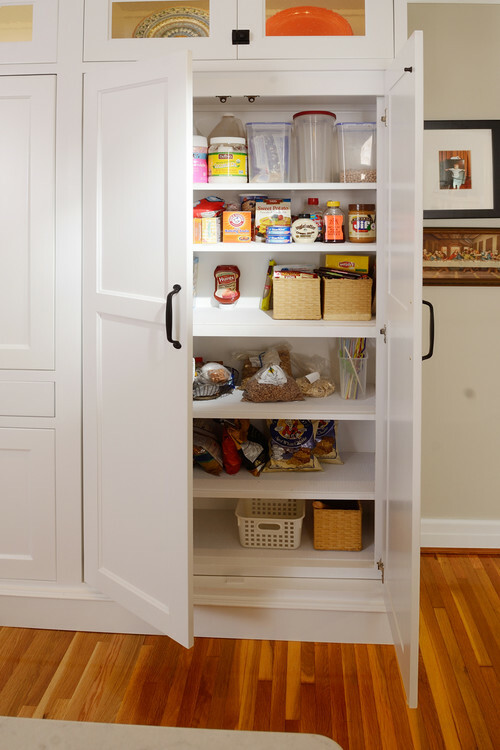 The cabinetry conceals a handful of secrets. To the left, pocket doors open to reveal a baking center with a granite countertop that can be hidden when guests come over. It also conceals smaller appliances, including a microwave and toaster. 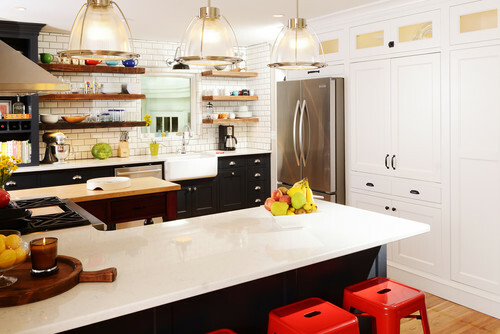 Taylor added high upper cabinets with seeded-glass doors to make the 8-foot ceilings appear higher. Their lights help brighten the room, and the seeded glass adds to the period feel. Author kimhuntkwPosted on October 20, 2014 October 13, 2014 Categories National Housing NewsTags millenials, trendsLeave a comment on Does the market hinge on Millenials? More than half of Americans think home prices will continue to rise over the next 12 months, a new Bankrate.com report says. A full 53% of Americans think home prices will gain, and only 8% expect home prices will slip. The results were consistent despite gender, age, income and education differences. Last year at this time, 55% of Americans said home prices would rise over the ensuing 12 months, and they were correct. Nine percent predicted a decline. Bankrate.com reported that its Financial Security Index registered 100.4 in September, indicating improvement over one year ago as well as over the past two months. Bankrate.com’s Financial Security Index has been over 100 – the level that illustrates improvement over the past year – in seven of the first nine months of 2014. Notably, September brought a big divergence on feelings of financial security between men and women. Men’s feelings of financial security improved on all five components that Bankrate.com measures compared to August, while women’s feelings were the exact opposite, falling on all five components compared to last month. Job security grew in August, with 26% of Americans feeling more secure in their jobs and just 14% feeling less secure than one year ago. Author kimhuntkwPosted on October 17, 2014 October 13, 2014 Categories Real Estate TipsTags home selling, trendsLeave a comment on Listen up, sellers!